When asked "why Vanderbilt," current students typically don't mention rankings or accolades, despite how well the institution performs by those metrics. Instead they mention how the student body is academically engaged without being competitive, how well their academic lives are balanced with enriching experiences outside the classroom — participating in 430+ student organizations, 120+ study abroad programs on 6 continents, and rooting for an exciting Division I athletics program is just the start — how Nashville (America's Next "It" City) is a place "you just have to see," how nice it is to stroll across a 330-acre, park-like campus every day, and how meeting students and faculty from all around the world and from a host of interesting backgrounds makes the whole undergraduate experience truly come alive. Want to hear more from the Commodore community? Check out our Telling the Vanderbilt story page, which features new stories, videos, and more. Or visit our student blog Inside 'Dores to read their "Why Vanderbilt" stories. Learning at Vanderbilt happens all the time — in classrooms, labs, internships, other countries, and even your on-campus residence. Students learn from some of the most prestigious faculty in the world as well as their own peers, who bring a wide array of beliefs and experiences with them to campus. Is the academic environment intense? Sure. But students find it to be collaborative and supportive, not cutthroat. Vanderbilt students are engaged and curious learners, taking advantage of small class sizes taught by world-renowned professors who are leaders in their fields. Students often mention how eager Vanderbilt professors are to assist in the learning process, whether it's in the classroom or outside, making themselves available for "office hours," giving students their home phone numbers in case questions arise over the weekend, and recruiting undergraduates to work on groundbreaking research in the humanities, sciences, and more. Opportunity Vanderbilt makes a top-tier education accessible and affordable, ensuring that we are empowered to attract the brightest, most intellectually curious students from all backgrounds. 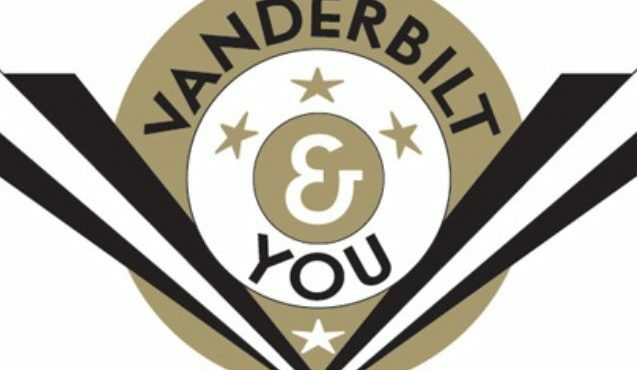 Vanderbilt is consistently ranked among the top 20 best values by both U.S. News & World Report and The Kiplinger Report, and it is one of only a few colleges and universities that consider applications on a need-blind basis, meeting 100% of demonstrated need for admitted U.S. citizens and eligible non-citizens, and including no loans in initial financial aid packages. Although costs vary among institutions, students who receive a financial aid offer often pay no more to attend Vanderbilt than they would to attend a college with a lower total cost. On Move-In Day, first-year students join The Martha Rivers Ingram Commons, a living and learning community designed to promote ongoing interactions between students and faculty, student mentors, and among the students themselves. Comprised of 10 residential houses (each including an apartment suite for a faculty Head of House and his/her family), the Dean of The Commons house, and The Commons Center, The Ingram Commons serves as the primary hub of activity for first-year Commodores. Programming on The Ingram Commons ranges from academic seminars to steel drum lessons, from invitations to share food and political discourse with the Dean to bike rides through scenic Nashville, and helps residents form a cohesive and vibrant community that will extend throughout a student's undergraduate years and beyond. Vanderbilt celebrates a rich diversity of thought and identity. Our students, faculty, staff, programming, and community initiatives all demonstrate a commitment to bringing together individuals and ideas from across a wide spectrum — geographical, socioeconomic, and otherwise. Vanderbilt students are actively involved in 430+ student organizations — representing a myriad of backgrounds, hobbies, and beliefs — and take advantage of all the vibrant and varied cultural experiences that Nashville has to offer. Culturally and academically, Vanderbilt students, alumni, faculty, and staff form a remarkable community whose efforts reach far beyond our campus borders. Long known for our culture of service, Vanderbilt students are involved in local, regional, national, and student service projects ranging from our recognized Best Buddies program to Alternative Spring Break (founded at Vanderbilt in 1987) to study abroad service opportunities. Alumni often continue this culture of service as evidenced when alumnus Muhammad Yunus was awarded the 2006 Nobel Peace Prize for promoting economic and social development through small loans to entrepreneurs in rural South Asia. The Vanderbilt family is dedicated to giving their best to the world. As a member of the Division I Southeastern Conference, our athletic Commodores are proud to compete at the highest level with sixteen varsity sports teams. Varsity home games are free to undergraduates, and our students show their Commodore spirit in support of their favorite teams every week. Moreover, all students are welcome to participate in 40 club sports and 40 intramural teams. The secret is out: Nashville is far more than rhinestones and cowboy hats. Indeed, GQ, The New York Times, The Today Show, and many more have declared their love for Music City within the past year and for good reason. Nashville's rich culinary and musical offerings, trendy urban neighborhoods, booming technology scene, thriving job market, along with its wide open green spaces, are starting to turn heads around the world. Known as one of the country's most livable cities, Nashville's metropolitan area includes 1.6 million people and serves as an international hub of technology, health care, education, publishing, and (of course) music. Situated on 330 beautiful acres in the Midtown district of Nashville, the Vanderbilt campus is conveniently located near many of the city's favorite restaurants, music venues, and attractions. 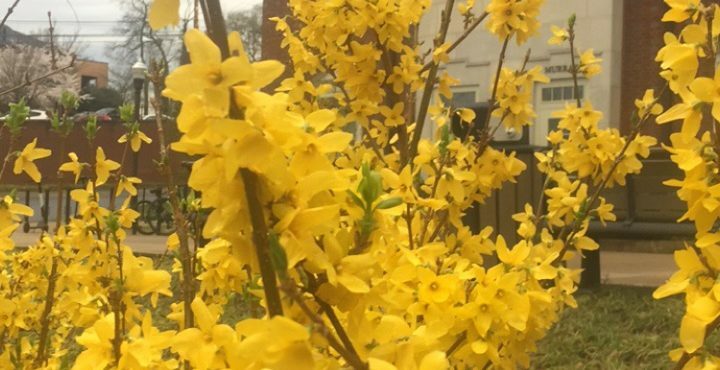 Whether you are seeking an urban experience or a more tranquil campus environment, Nashville has much to offer and quickly becomes home for students. As a comprehensive research university with an interdisciplinary academic approach, Vanderbilt's total research expenditures of over $615 million places it in the top 20 for federal research and development funding among U.S. colleges and universities. Research and teaching join traditionally diverse disciplines through more than 120 centers and institutes which include: the Vanderbilt Kennedy Center for Research on Human Development, the W.M. Keck Free-Electron Laser Center, the Vanderbilt-Ingram Cancer Center, the Financial Markets Research Center, and the Intelligent Robotics Lab, among many others. Undergraduates often take advantage of research opportunities working with professors and co-authoring published papers, and even presenting at professional conferences. Vanderbilt's interdisciplinary approach means that learning here is not limited by traditional department distinctions. By removing those boundaries, we encourage the development of a community of scholars. Students have the opportunity to design individualized majors and engage in innovative and forward-looking endeavors at such centers as the Curb Center for Arts, Enterprise, and Public Policy; Center for the Study of Religion and Culture; and Center for Medicine, Health and Society.